Although I only have two and half that I'm currently homeschooling (two big kids in elementary school and a little guy that's just starting to do preschool stuff) I have multiple littles that will be coming alongside over the next few years. 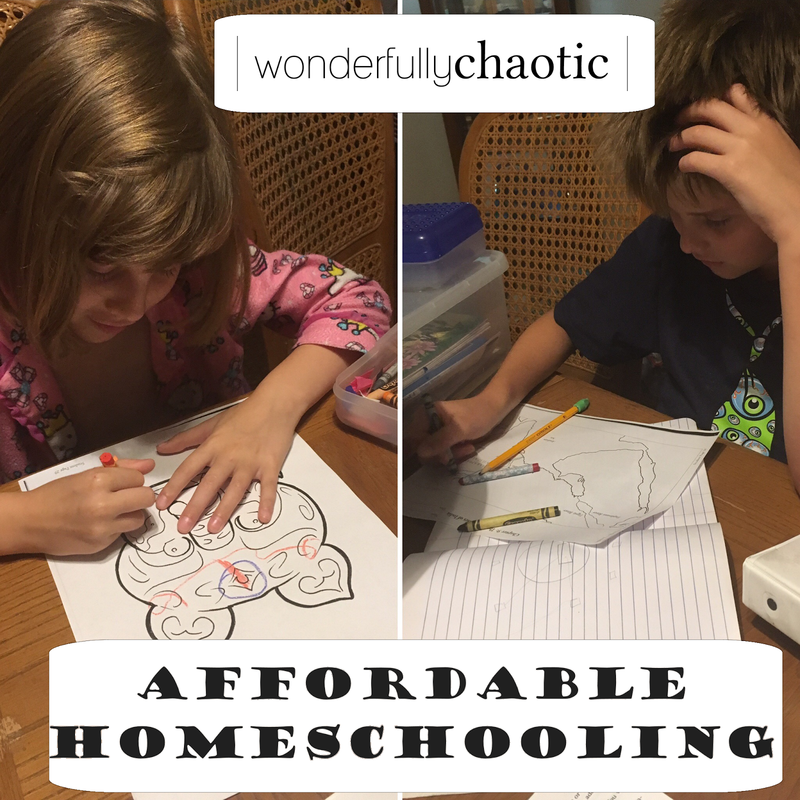 When I decided to homeschool, I also decided that I wanted to try and do it as affordably as possible...which in hindsight is great since we now have a bunch of kiddos! Now don't get me wrong, this doesn't mean that I use only things that are free - I do think there are some areas you shouldn't skimp on and that there some products that are definitely worth spending more money on. This is just a little guide to help you save where you can. - Used curriculum/book sales are a great place to find used items - and you get the added bonus of talking to homeschool moms who have probably used it and can tell you more about it. Check out local homeschool co-ops to see if they have any or just get a bunch of your friends together and plan your own sale/swap. - eBay and BST pages (like the ones on Facebook) can be another place to hunt for something specific. There are many BST pages dedicated to different types of curriculum or studying (My Father's World, Charlotte Mason, Sonlight, etc.) and many people use eBay to sell used or unwanted curriculum. - Secondhand book stores or library book sales are a great place to find classics, readers, or textbooks. You might even find something totally unexpected! - The first year I started homeschooling I utilized a website called Rainbow Resource. I ordered a HUGE box of curriculum and only spent $100. Several of those books/items I still have! Rainbow Resource Center has a huge selection of items and good prices. Last year instead of ordering online I visited their booth at convention and picked up some great things. - Free Homeschool Deals is a great website for finding free and discounted homeschool unit studies, lapbooks, printables, and other homeschool curriculum. They post something new DAILY! Try some of these posts: Free Full Homeschooling Programs, Homeschooling for Free and Frugal, and the "Overwhelmed" page where you can search by subject/season/many different other categories. - Free Homeschooling 101 is another good website - they have a free homeschool curriculum list and a very active Facebook page that they share links & resources on constantly. 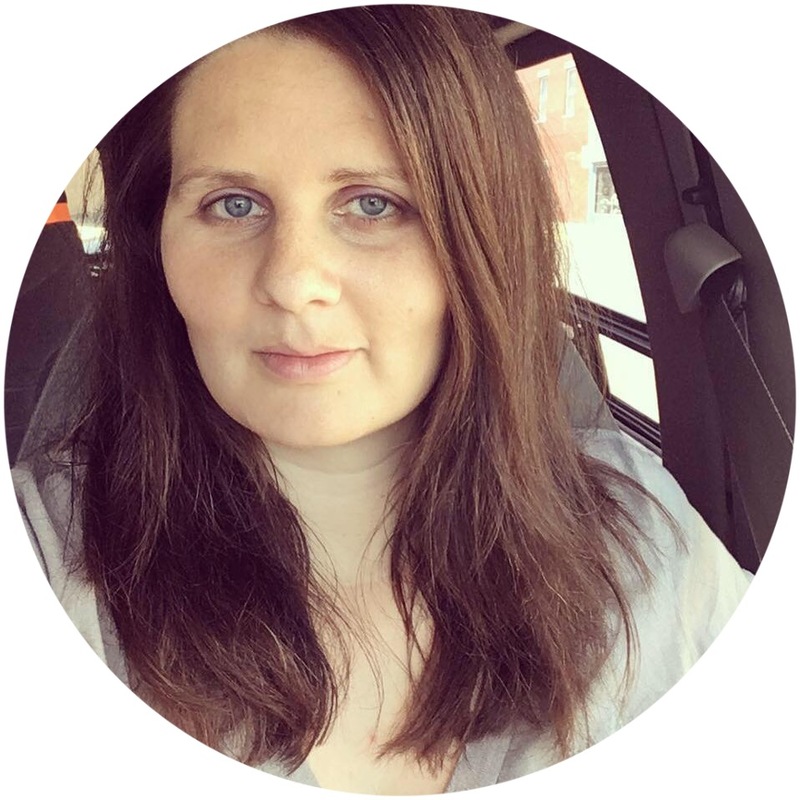 - Money Saving Mom is a well known blogger who wants to help people save money. She has a section of her website devoted to Free Homeschool Curriculum Resources. - Ambleside Online is a free curriculum in the style of Charlotte Mason. If you're interested, check out the Introduction. - My Amazon store (which needs a little updating) has a section on Homeschooling Help that has some great books related to affordable homeschooling. 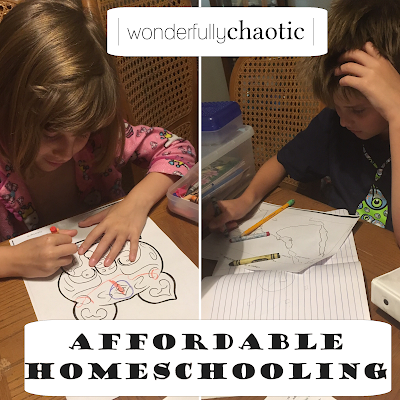 I'd like to hear from you readers now - how do you homeschool affordably? Any links or websites I missed? Share your thoughts in the comments! Check out CurrClick for affordable unit studies, online language classes, and clubs for such things as Lego. My 2 are high school now, so don't use it much but great for littles.